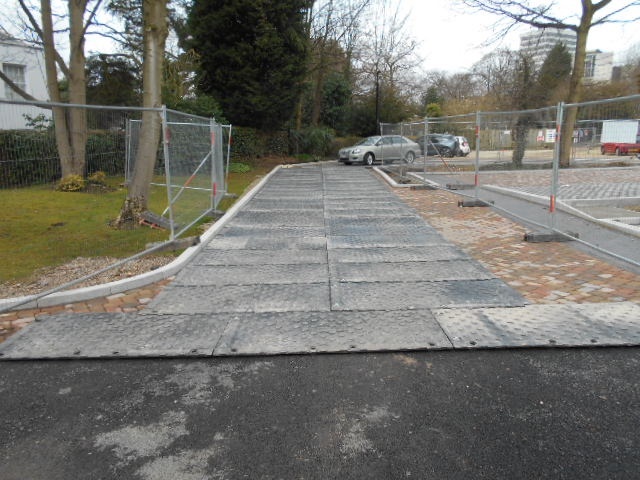 As part of a major building job, a leading contractor in Edgbaston needed to make sure that the expensive block paving on site did not get sunk, moved or damaged with the large volume of site vehicles expected during the duration of the works. More crucially, the soakaway located underneath the block paving also needed protecting. Clearly a strong, robust and reliable solution was needed to safeguard the expensive assets underneath. 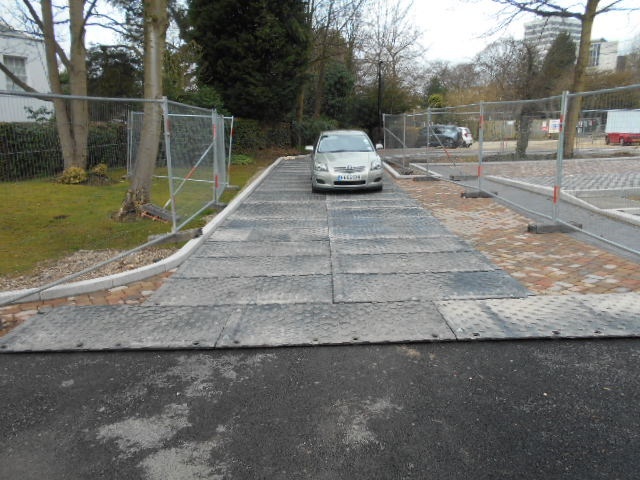 Ground-Guards’ MaxiTrack mats, being super strong yet incredibly light, were perfect for the job. 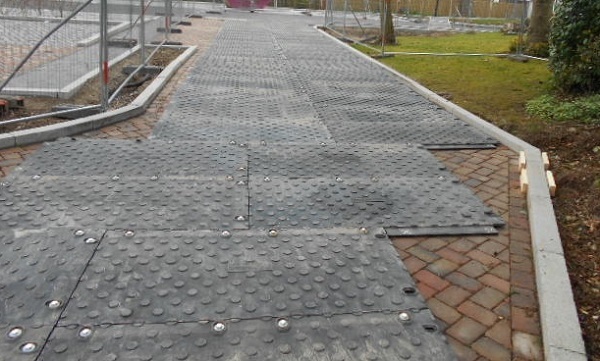 Featuring easy to join, overlapping flange joints, MaxiTrack trackway has extra strong connections that prevent any board slippage or movement. And its tough, rigid plastic will not bend or bow under stress. A neat and tidy trackway – strong, reliable, robust – was built in next to no time. The job was successfully completed with zero damage to the assets underneath. After the job, the boards were packed up quickly and easily, ready to reuse on the next job. A winning return on investment!